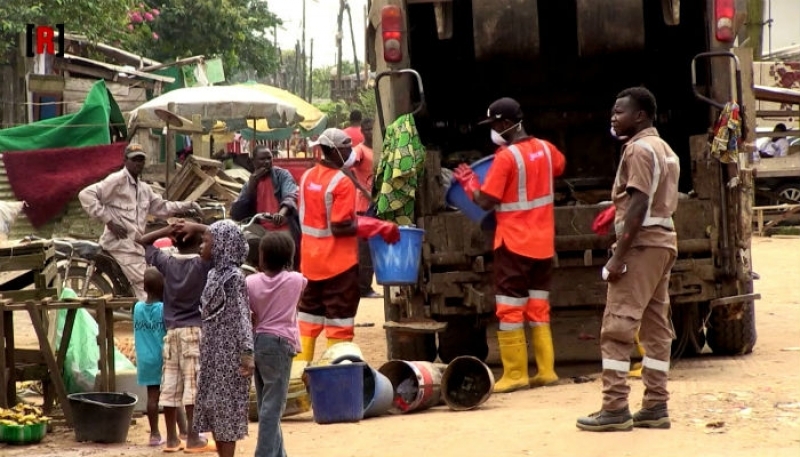 Suspected Separatists are still in keeping of three workers of the waste disposal company, HYSACAM, although they have released the truck and its driver. A source at the City Council announced that late Thursday, these “Amba Boys”, freed the truck driver and let him take along the truck. Contrary to earlier reports which stated that they were three workers in number, the group took along four. The whereabouts of the other three are not known. They were kidnapped around the waste dump site in Mankon, on Thursday, to the dismay of city council officials and the citizens, who are now expressing fear, over the future of waste disposal within the city of Bamenda. Since the arrival of HYSACAM, commended efforts have been done by the group, to clean up the city of Bamenda, to the acknowledgement of the population. As the Anglophone crisis intensified, the company has on several occasions complained of being attacked by separatists, as they carry out their activities. In January 2019, the company suspended its activities within the city of Bamenda. A press statement narrated how the company was exposed to violence, perpetrated by armed separatists in the North West. They announced they had lost close to FCFA 1Billion in both the North West and South West regions.Suspected separatists, damaged the bridge, connecting the city to the waste management center This grounded HYSACAM’s activities for 15 days with no way to carry out with waste collection and disposal in Bamenda. The main bridge leading to the dump site in Mbelewa- Mile Four Nkwen in Bamenda 3 subdivision was broken by unidentified gun men, trying to restrict the movement of cars into certain parts of Bafut thus rendering the dump site inaccessible to trucks of the company. Only military intervention, led by General Agha Robinson, freed the town from smell, emanating from filth, as many people dumped dirt all over major junctions of the city. HYSACAM however resumed work in Bamenda, thanks to the efforts of both council and administrative intervention, until yesterday’s kidnappings.